The land of Assam shares its deepest roots with the river Brahmaputra, which overpowers the landscape and has shaped the culture, economy, and environment of the state. 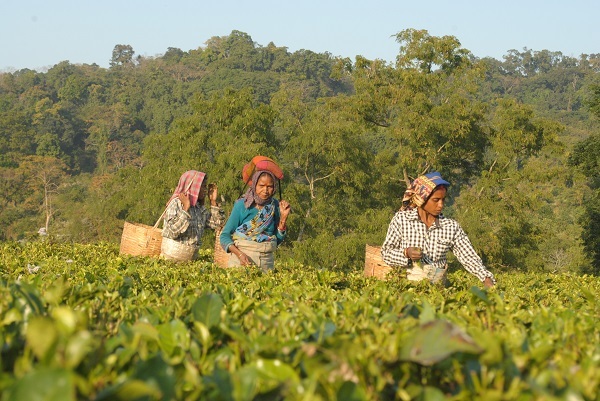 The fertile valley has attracted people from many ethnic, linguistic and religious backgrounds, making Assam a colourful mosaic of people and traditions. Assam is also home to a wide variety of flora and fauna, including some of the more endangered species. These endangered species and so many other wild animals and birds find their home in Kaziranga, the Serengeti of India. Declared as a world heritage site by UNESCO, Kaziranga holds two-thirds of the population of the world’s One-Horned Rhinoceros. It was also declared a Tiger Reserve in 2006 as it had the highest density of tigers of all the protected areas in the world. The park is home to large breeding populations of elephants, wild water buffalo and swamp deer. Kaziranga shares one of its boundaries with Brahmaputra river which makes it an active place for different and unique species of birds to inhabit the park, thus, making it a dreamland for the bird watchers. Great Hornbill, Greater Adjutant Stork, Open Billed Storks, Woolly Necked Storks, Palasus Fishing Eagles and Vultures are some of the many birds that you can spot here. The fertile land, the deciduous forest and the river make Kaziranga apt for a lot of plant life too. The tall elephant grass and aquatic flora like lotuses and lilies create a beautiful ambience. 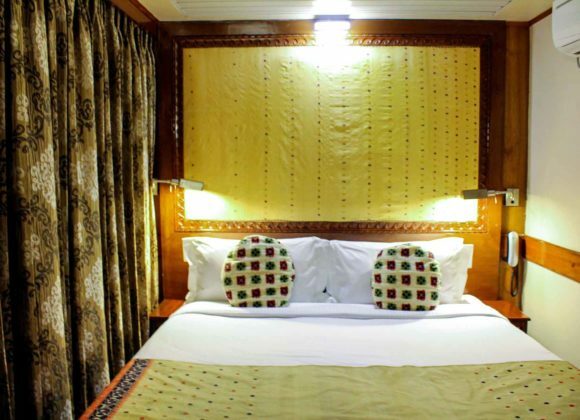 Needless to say, the MV Mahabaahu cruise is one of the most sought-after accommodations for travellers exploring wildlife in the most authentic way feasible. 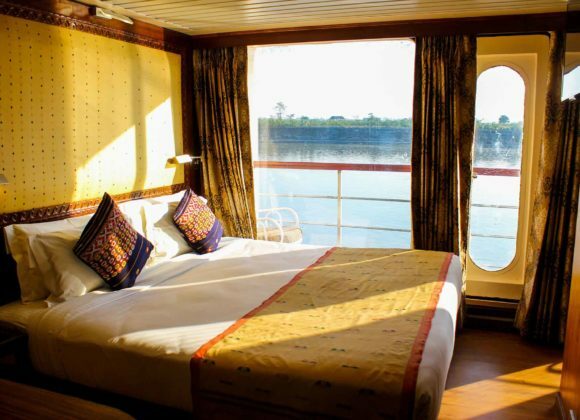 The cruise offers a plethora of onboard experiences that even include spotting the big 6 and more from the sun deck itself. Other than that, a selected package also includes visits to the national park with local guides who help you explore and understand the wildlife better. 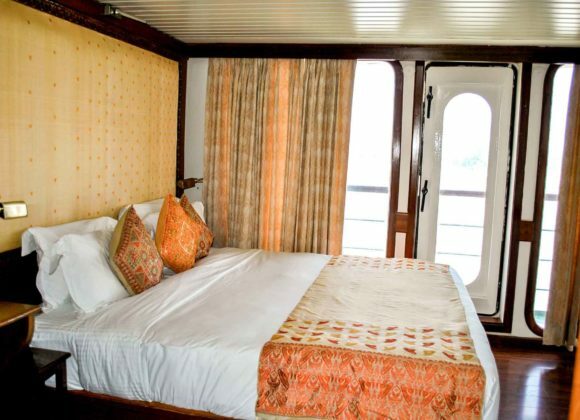 Guests onboard, get to enjoy the Serengeti of India in three magical ways – boat, elephant and jeep. No other hotel in the area offers this. 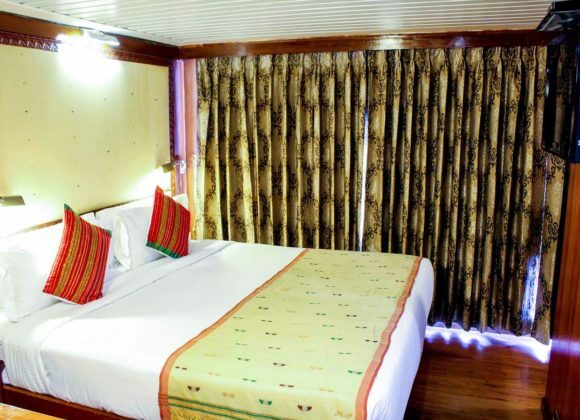 Other than the MV Mahabaahu, there are many resorts and hotels, suited for all budgets, in close vicinity to the national park that quench your urge of that authentic feeling of actually living in the forest! 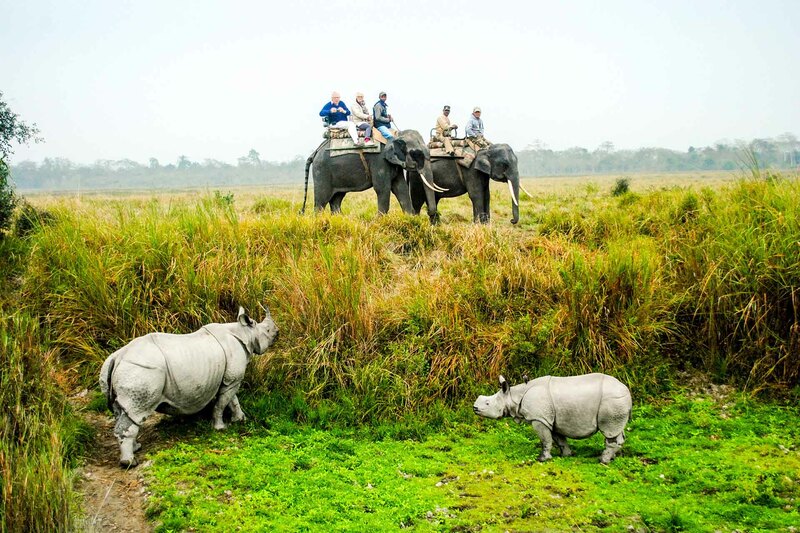 The best way to explore the humongous jungles of Kaziranga is by elephant or jeep safaris. Relish the sunrise from your vantage point on the elephants as you move slowly amidst the tall elephant grass. Feel like an intrepid explore and enjoy the moment of what could be your most interesting wildlife experience. 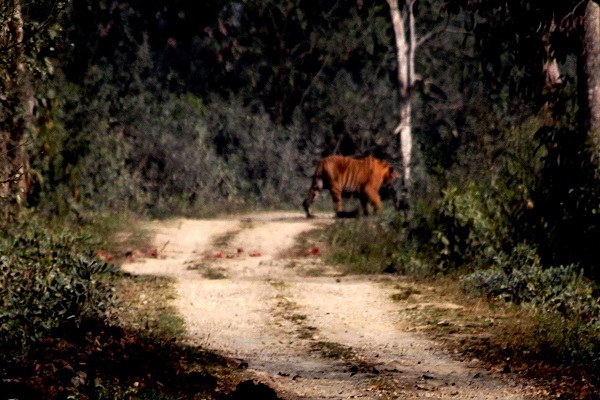 If you want to cover a larger area, Jeep safaris are another fun way to linger around in the majestic forest under the guidance of authorized forest guides. While the safaris are a great way for you to spend your mornings and afternoons, the return back from the jungle is equally engaging as the sun sets and the quiet takes over. Apart from the safaris, there is so much more to look forward to if you’re more than just a wildlife fan. Majuli Island is the largest freshwater island in South Asia. 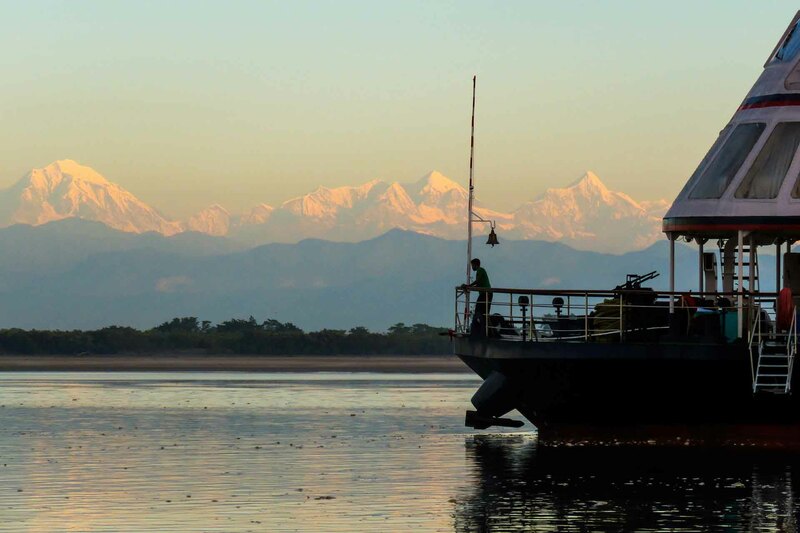 It offers you a dizzying array of traditional customs and culture the rugged beauty that the river Brahmaputra adds to it. While you have plenty of opportunities to spot a lot of migratory and endemic birds who call Majuli home, the island also offers you an insight into the world and lifestyle of the inhabitants. 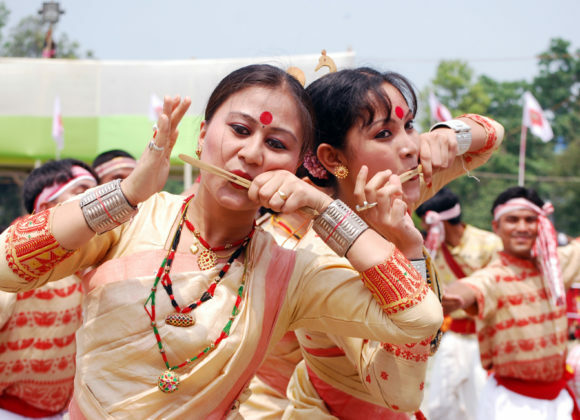 Spend your evenings celebrating life with the locals in a very traditional Assamese way, the festivals like Bihu are especially a great time to visit. 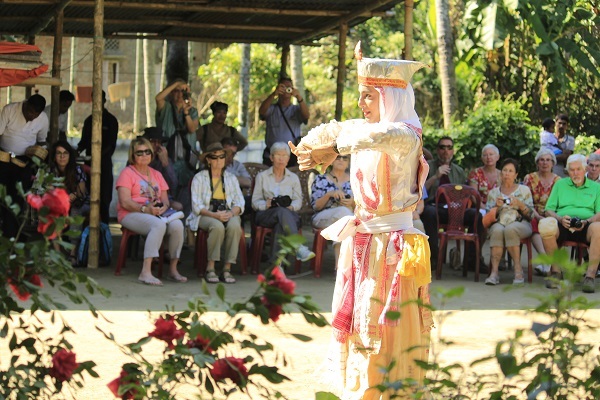 Admire the local art and craft which speaks for their history of art and culture. Assam is known for its lush green tea plantations so finding time to visit a tea estate near Kaziranga only makes sense. 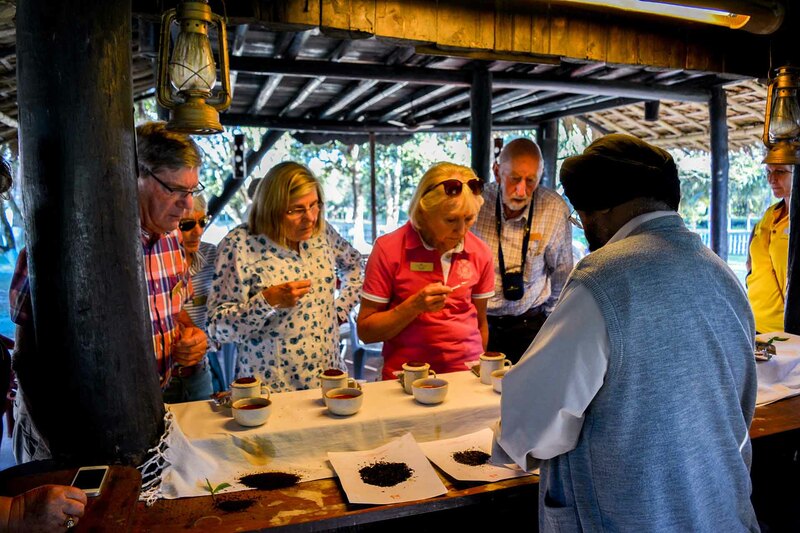 Watch the labourers pluck fresh tea buds and leaves from the farms and ask them all about the following process if you wish, it’s a great way to learn where your favourite cuppa comes from. 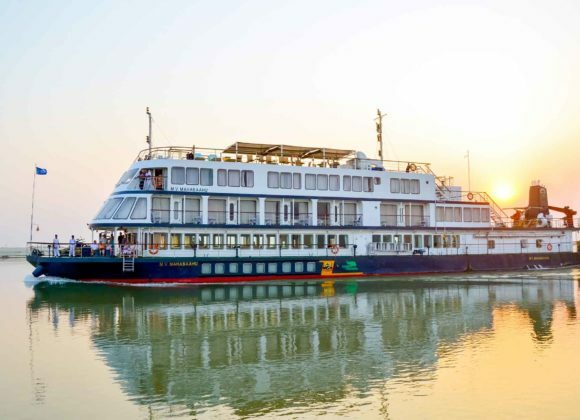 We can go on and on about the experiences you can have while being on this wildlife excursion, from temples to different cultures, from domesticated tea plantations to wild flora at its best, from inhabited islands to the enormous wild forests and so much more. 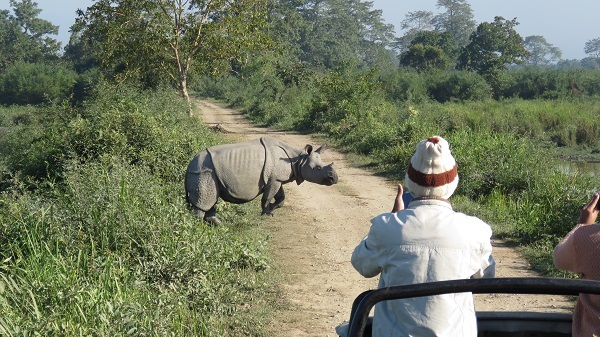 Plan your trip to Kaziranga now and get ready for one of the best safari experiences you can have in India. You will be surprised at how welcoming and homely this state and its people are, it’s almost too good to be true. Luckily, it’s not!